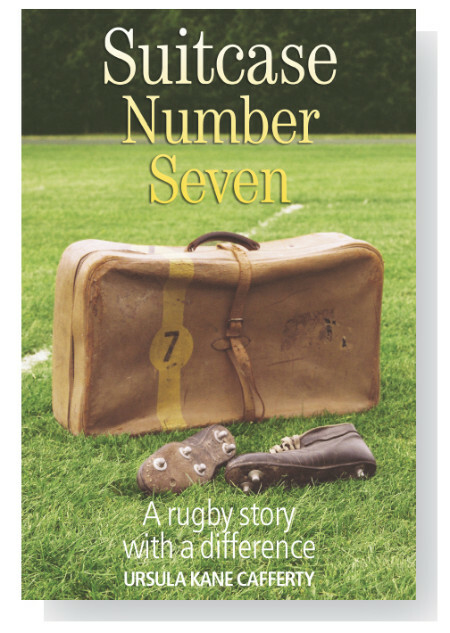 "The best scrumhalf never capped for Ireland"
Suitcase Number Seven is Ursula Kane Cafferty’s memoir of her uncle Tom Cleary, who was described on his death in 1997 as ‘possibly the finest rugby scrum-half never to have been capped for Ireland’. 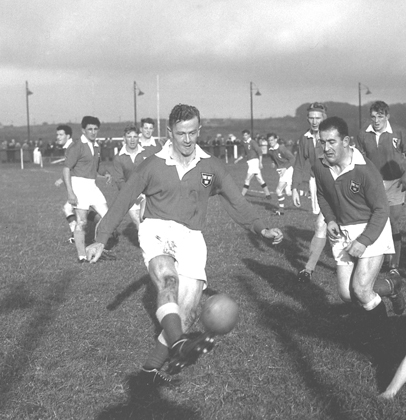 Born in Carrick-on-Suir, Tom Cleary was a Castleknock College, Bohemians (Limerick) and Munster scrum-half and captain from the mid 1940s to the early 1960s. He played in several final Irish trials and was a reserve for Ireland on up to 17 occasions (including the 1961 tour of South Africa) without gaining the distinction of an Irish cap. He died in Mullingar. The book, however, is not just about one man or about sport, or even just about rugby. It is about natural talent in the extreme, allied to a competitive nature and leadership ability. But, blow by blow, life chips away at his gifts to reveal an intensely low self-esteem. It takes a huge life crisis before Tom finally begins to realise and accept that he is truly loved ... just for himself. His story is written as a fictional memoir. Contact the author on 087 231 7758 (outside Ireland +353 87 231 7758) to order a copy. Praise for Suitcase Number Seven!